Trainees and graduates in conservation can find their way into endlessly varied, interesting and fulfilling careers and they form a sizeable percentage of stained glass professionals today. Conservation training generally takes place in established conservation studios and is accredited by the Institute of Conservation (ICON). 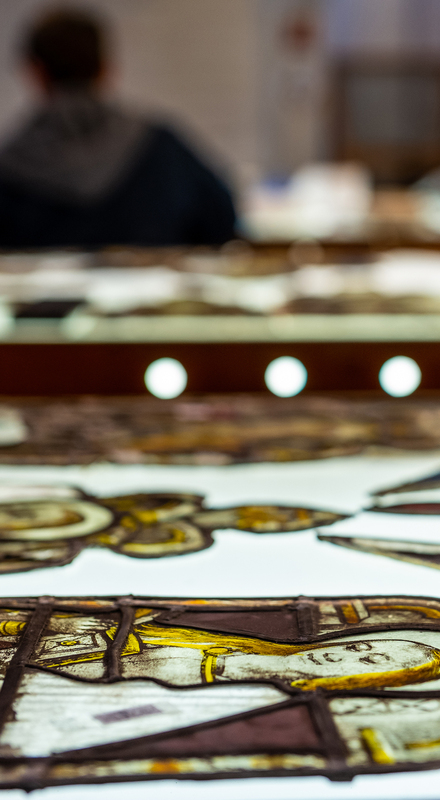 York University offers an MA in Stained Glass Conservation and Heritage Management. Potential applicants for accreditation are advised to contact the Institute of Conservation, Unit 1.5 Lafone House, The Leathermarket, Weston Street, London SE1 3ER; website: www.icon.org.uk. A list of accredited conservation studios where training may be available can be found on the Find a Conservator page.